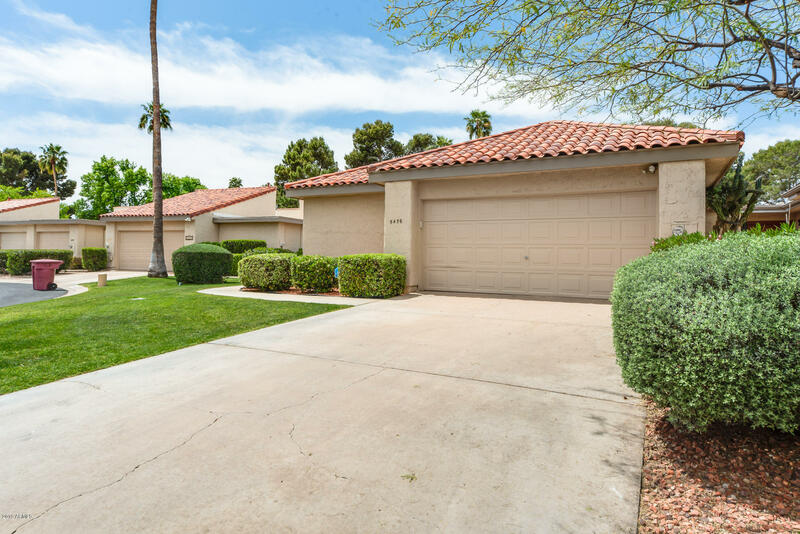 All SUNRISE VILLAS homes currently listed for sale in Scottsdale as of 04/24/2019 are shown below. You can change the search criteria at any time by pressing the 'Change Search' button below. "Adorable move-in-ready townhome on a quiet cul de sac lot. This cozy home features an upgraded master bath, 2 car attached garage, and a full size washer and dryer are included in the unit. Upgrades include; newly repainted throughout, new carpet throughout, replaced ceiling fans in all bedrooms, new door hardware throughout; in the master bath ~painted, new vanity, counter top, sink, faucets and the water heater was replaced in 2018. There are also many amenities within this lovely community; t"